Take a look at photos of Syncro System's first interior paneling upfit on the new Ford Connect. The new Ford Connect's compact size gives you a good compromise: smooth car handling with generous cargo space for transporting material and equipment, or for transforming it into a small and efficient workshop. 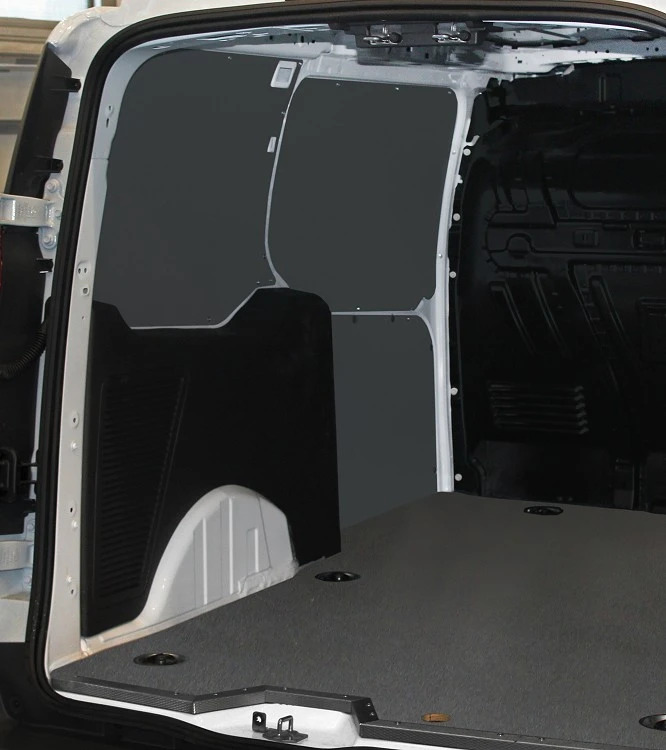 Like all vans, the Ford Connect cargo doesn't come equipped with adequate interior protection against the daily wear and tear of working vehicles. To protect against dents, it is necessary to install specialized floor and wall paneling, like that designed, manufactured and installed by Syncro System van upfitters. In the photos, you see a Syncro installation on the new Ford Connect. 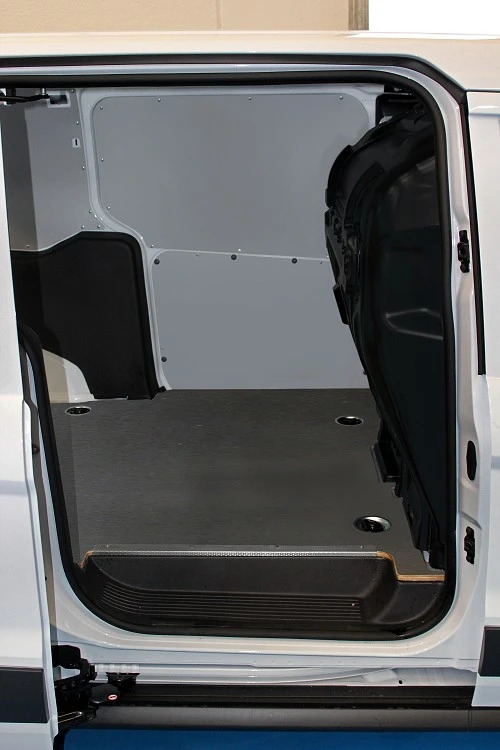 First, a resin-coated, non-slip plywood floor panel, fitted with recessed steel anchorage points, making it possible to use the van's original floor hooks. 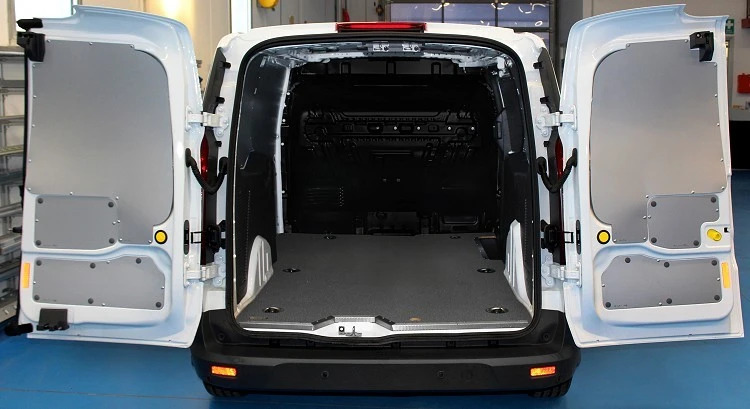 The resistant floor panel is designed to stand up to the daily heavy usage that working vans endure, as well as significantly reduce slips and falls due to oily substances because of its anti-slip surface. The same plywood has been used to protect the bulkhead, while the side walls and doors have been covered with coated galvanized steel panels. 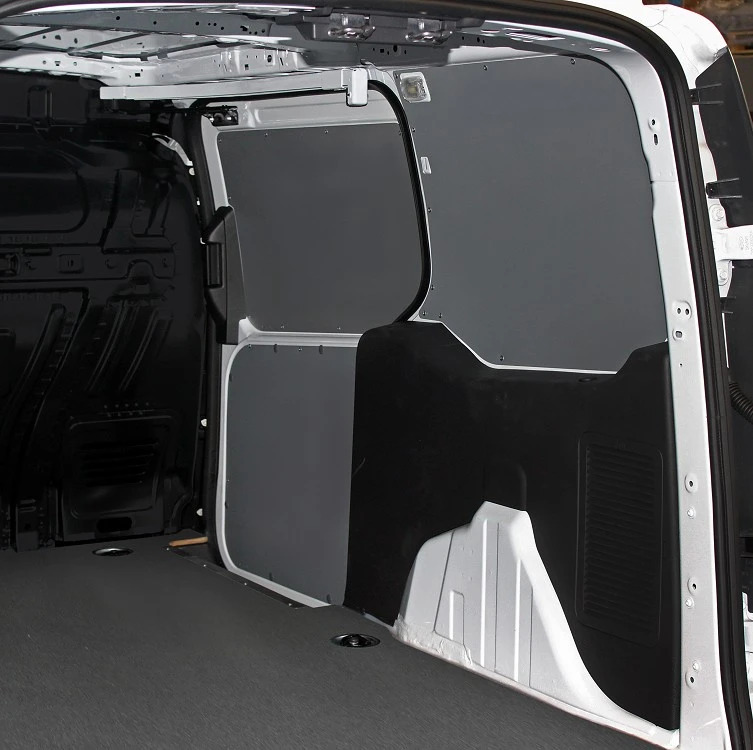 The specialized wall and door paneling ensures your van is protected against bumps and dents that, over time, can lead to serious rust damage of the van body. The protective paneling for the new Ford Connect is available in all Syncro System centers – in two versions for the L1 and L2 models. With installation done in less than day, Syncro makes sure your business doesn't lose valuable time. This small investment to protect you van starts paying you back immediately, thanks to the high quality materials, professional installation, and superior protection that tens of thousands of Syncro upfits prove. For every new model that comes out, Syncro System creates made-to-measure protective paneling that fit to the millimeter of your specific model and make. With the interior paneling in the production and installation phases, we are focusing on utility and ladder racks and roof-top tube carriers - all for your Ford Connect!